Wall Street is focusing on a rate cut in China and some terrific tech earnings. 1. China cuts rates: China slashed key interest rates on Friday, the latest in a string of measures aimed at boosting its economy. The People's Bank of China cut its key lending and deposit rates by 0.25 percentage points. The one-year lending rate is now 4.35% and the deposit rate is 1.5%. The central bank also said it would require large banks to keep less cash in reserve, a move that should make it easier and cheaper for the banks to lend money. 2. Global market overview: Stock markets immediately surged after the China announcement. U.S. stock futures are rising by about 1%. 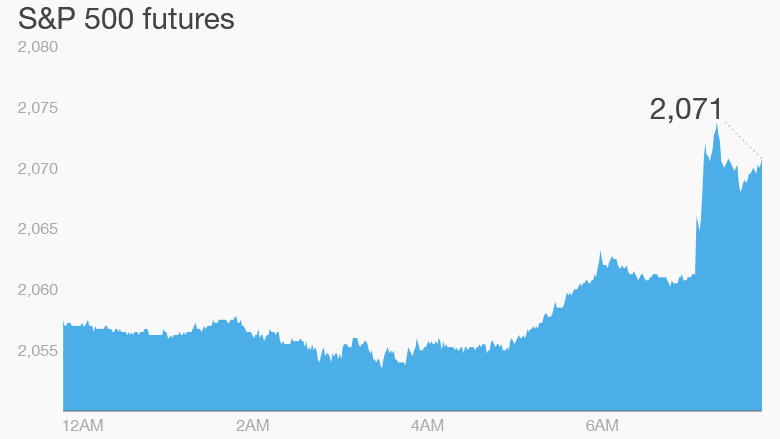 Stock futures popped after the China rate cut announcement. European markets are also rallying in early trading, with many key indexes up by over 2%. European stocks started the day with positive momentum after the head of the European Central Bank, Mario Draghi, said Thursday that the bank was examining new ways to tackle deflation and get the economy moving again. The bank could act as early as its next meeting on Dec. 3. The ECB could cut interest rates even deeper into negative territory or increase the size and scope of its program of quantitative easing -- printing money to buy government bonds and other assets. The euro weakened significantly in the wake of these comments. Asian stock markets closed the day with gains, ahead of the rate cut announcement. 3. 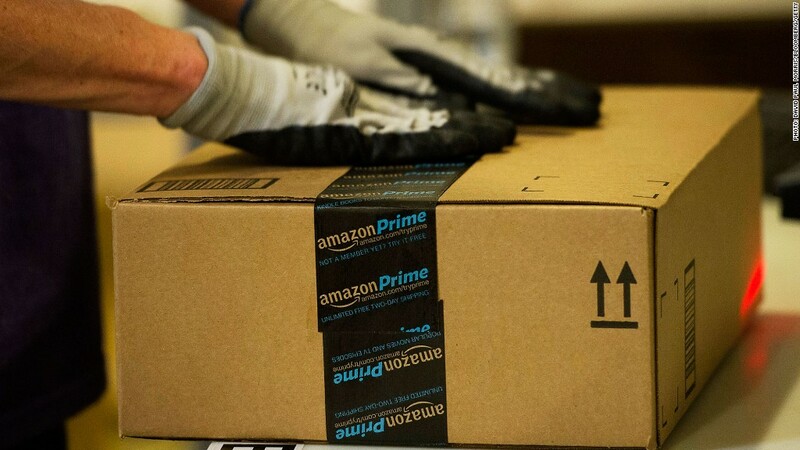 Terrific tech: Amazon (AMZN), Microsoft (MSFT) and Alphabet (GOOGL) (aka Google) all reported impressive quarterly results on Thursday in the late afternoon. Investors are bidding shares much higher in extended trading. Both classes of Alphabet shares -- GOOG (GOOG) and GOOGL (GOOGL) -- are rising by about 11% premarket. Amazon's stock is also up by about 10% and Microsoft shares are climbing by about 10.5%. 4. Market losers -- TalkTalk, Pandora: It's not a positive day for everyone. Shares in TalkTalk Telecom Group are dropping by about 4% in London after the company said private data from its four million customers could have been stolen after it experienced a "significant and sustained cyberattack" earlier this week. British police are investigating the case. Shares in Pandora (P) are taking a massive double-digit drop after the music streaming service posted quarterly results and announced a $90 million settlement with record companies for misusing some pre-1972 music. 5. Earnings: Companies including American Airlines (AAL), Procter & Gamble (PG), Whirlpool (WHR) and Royal Caribbean (RCL) are reporting earnings this morning before trading begins. 6. Weekly market recap: It was a relatively quiet week in terms of volatility. However, Thursday was a big day. All the main U.S. indexes shot up. The Dow Jones industrial average rose by 1.9%, while the S&P 500 and Nasdaq each added 1.7%.